I had a really good childhood. Some people do not have fond memories of their childhood, but I do. I would not trade one single aspect of my childhood for anything in the world. In fact, sometimes I have even felt guilty for having such a great childhood. Other people cannot say the same, and for that, I hurt with them. Now don’t misunderstand me; there were those moments that were not very enjoyable as they were happening, but looking back years later, I certainly learned a lot through those particular moments. For instance, I remember one summer my older brother Josh, my cousin Jennifer, and myself were “up to no good” and horsing around in the living room. I really do not remember whose idea it was, but we started throwing couch pillows and playing indoor football. (I suppose it is obvious at this point of the story my parents were not at home.) One football play led to another, and the next thing we knew, a lamp fell and crashed into pieces on the floor. It seemed as if the lamp hit the ground in slow motion. You could see it happening, but there was nothing you could do about it! There we stood, looking down at the broken fragments of a ceramic lamp that had been very precious to my step-mother. I believe the twenty minutes we had before my step-mother arrived home were the longest minutes of 1984! You know, it’s funny; as hard as we tried, we could not hide the evidence. It’s hard to hide a broken lamp! When my stepmother came home, we were found guilty as charged, and were ready for our sentencing. 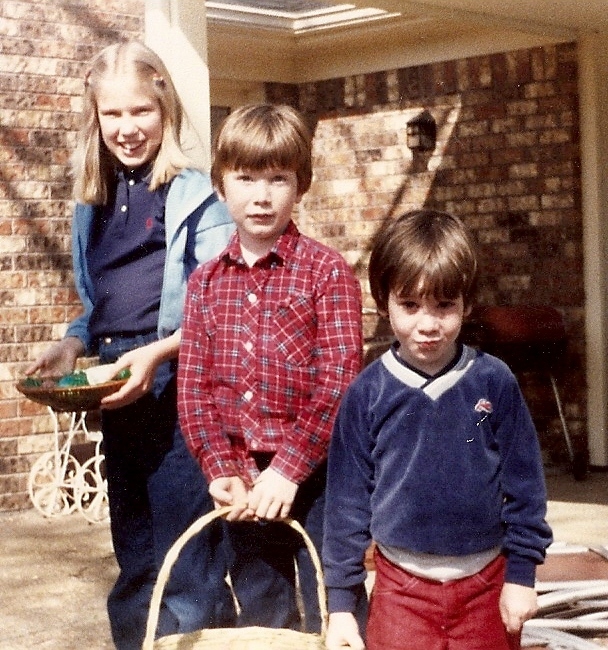 For some reason, my cousin Jennifer really did not get in any trouble, but my brother and I did. We found ourselves for the next few weeks doing odd jobs and chores around the house in an attempt to pay the price of that expensive lamp. Looking back, the trivial amount of chores that we actually did came nowhere close to equaling the value of the lamp or even paying the price for that lamp. My brother and I both did our share of chores. But when it was all said and done, my parents are the ones who really paid the price for the lamp. What does my story have to do with our passage above? Well when the apostle Paul wrote to the early church at Rome and said to the people that everyone has fallen short of God’s glory, it meant that no one on their own merit could meet up to God’s standard. And Paul’s words two-thousand years ago apply to us as well. The truth is, we all fall short of God’s standard. Why? Because God’s standard is perfection and the only one who meets that standard is His sinless Son, Jesus the Christ. And so the only way that we can obtain forgiveness of our sin is through Jesus Christ, the one who paid the price for our sins; an act that you and I could not possibly do on our own. But unfortunately, some people attempt to obtain salvation and forgiveness of sin by what they do rather than what Jesus did. Just like my brother and I were attempting to pay the price of the lamp, they too are checking off their “to do” list and hoping for a salvation based upon works, attempting to pay the price for their sins. But know this; no amount of good deeds can or ever will cover the high cost of sin. You see, salvation and forgiveness are only available through Jesus the Christ. Why? Because He was the only one who could pay the price for your sins. It would be wise for us to remember that it is not what we do, but rather what Jesus did that makes forgiveness possible. Because of our sin condition, we truly are broken lamps in need of the glue of God’s grace. Aren’t you glad Jesus paid the price for your broken lamp? that was a really good example and very true. we did nothing to deserve what he did for us. for he was the perfect one, but yet he died for us, who sin against him everyday. all because he loves us. everyone is a broken lamp, and we would stay that way if it wasn’t for His grace. Everyone is born into sin. Everyone also commits their own sins. Even though we try our hardest, we still mess up daily and we still sin every day. God views every sin in the same way. There is no small sin to God. He knows what all of our sins are, even when we only think them. It’s really good to know God loves us although we mess up. He forgives though we don’t deserve it. We should try to be more like God and forgive others when they do wrong by us. Sometimes it seems like people try to do things to get credit for doing them. I think that they forget that it is not what we do, but what Jesus did. I am glad God loves us even when we are not perfect. It is hard for us to understand that we can not earn his love and forgiveness. We must just have faith. This is so true, everyone is a broken lamp. There are tons of people I think that my be scared to face the fact that what they did was wrong and then decide to do something good to try to cover up the bad. They need to realize that that’s not the way to go. They need to know that no matter what they can always come to God and get forgiveness and even we should have payed the price we don’t have to because Jesus already did. This is a great message, we are like the lamp broken in need and we always try to hide our sins. we try to fix our selves but we cant. We try to pay the price for our sin but no matter how many “chores” we do ultimately Jesus pays for our sins He payed it all. This is true also in the way that we try to do all these good deeds to get into heaven but it is only by God’s grace are we allowed to come to Him. Many people think if they’re a good person they will go to heaven, but that’s not the case. We are blessed to have god allow us to know Him at such a young age. Everyday I “break a lamp” in my actions, thoughts, and deeds. That’s why I am so grateful that Jesus took my sin to the cross with him so when I do break my relationship with him he makes the lamp whole again. I hope that HIS light shines through my broken lamp. This is so true! We are all broken lamps, but Chrust still loves us. We try to hide our sins, do good deeds to get credit, etc. But good deeds don’t save us, and we cannot hide our sins from God. We need to remember Gods love and mercy and grace and admit our sins to Him. Very true Rihanna😄! Although we are not saved through good works we should do everything through Christ. This message reveals to us that we are so imperfect, we can never match up to Jesus and that we are so broken we need God’s glory to glue us back together! But we also have to be willing to let Him mend us and do our part in the mending and keep a steady relationship with Him and talk and pray to Him daily! And it is very hard to hide all our brokenness and sins from God even though it may be easy to cover it up in front of humans! This also shows me that I can never do enough (like good works) to pay the price for my sins because the only way is Jesus dying on the cross! I’m so glad God paid the price for me (a broken lamp)! We are all like broken lamps. We all fall and sin but God forgives us. Not because we do good things but because we repent. God will always forgive us no matter the circumstances. This message is very true. No matter how much we do their is no way we can ever do enough to pay for our salvation. Our works on earth might get us crowns in heaven, but it we will never do enough too get us into heaven on works alone. It is impossible for us to receive salvation on our own. We have to rely on God to save us and protect us. Jesus paid the ultimate price for our sins and because of that we get to go to heaven. Since we can never be perfect, we can never live up to God’s standards, but Jesus lived up to those standards for us. He went through all that pain and all that torture for us even though we continually sin against him and fail him. He still loves us unconditionally, no matter what. We are all broken lamps because of sin.no matter what we do we can’t become whole again.God has paid the price for our salvation and he has forgiven us.we can never be perfect but with Gods help we can be saved. This is an awesome article, and I for one am very glad Jesus paid the price for my broken lamp. We all as Christians in this school read this and may think, “I know that Jesus Christ is my only way to heaven.” In reality there are tons of people out there that believe good deeds get you to heaven. We need to show people as much as we can that Jesus Christ is the only way to heaven. I am glad Jesus paid our price. There is nothing we can ever do to make up for the price of sin, and I do not want to go to Hell. I am glad Jesus loves us. The broken lamp was like are sin, witch we can do nothing about.Only God can help paid the price for it. I enjoyed the lesson thx. I often “break lamps” and then try to hide what I did. God knows all things and he is always with us even if we don’t want him to be there. God knows us better than we know ourselves. God is all powerful and all knowing. Thank you Mr. Martin! !